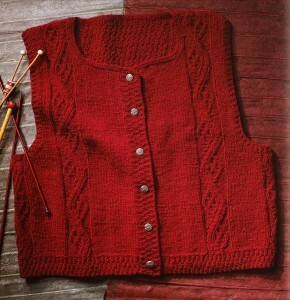 Vests are so satisfying to knit – make the front and the back and you’re done! They’re great for trying new techniques and for introducing new color ideas into your wardrobe. Folk Vests is a standout from Interweave’s Folk series (socks, mittens, hats, and so on). The knit vest patterns riff on shapes, motifs, and details from folk cultures all over the world: Japan, Peru, Nepal, Scandinavia, and more – 25 patterns in all. So right for today’s eclectic fashion look.